Designed by Teresa Witkowska, MM-30 was selected by the Polish Ministry of Culture and National Heritage as a box to represent Polish woodcraft in various museums throughout Poland. 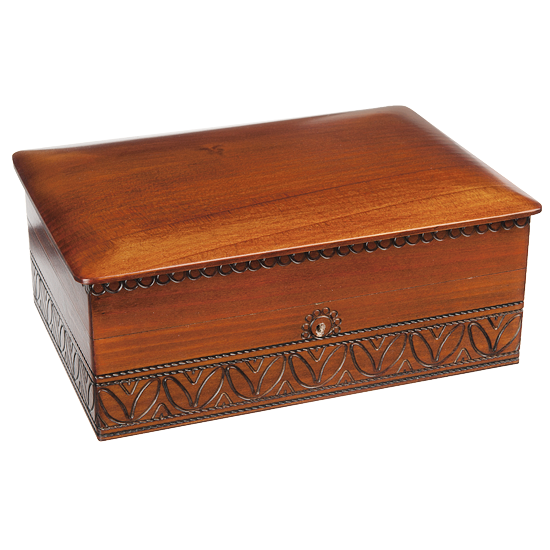 This is one of our largest boxes, elegant, simple, with a slightly rounded, smooth top. Multi-purpose box, great for storing keepsakes or memories. Bottom felt-lined.